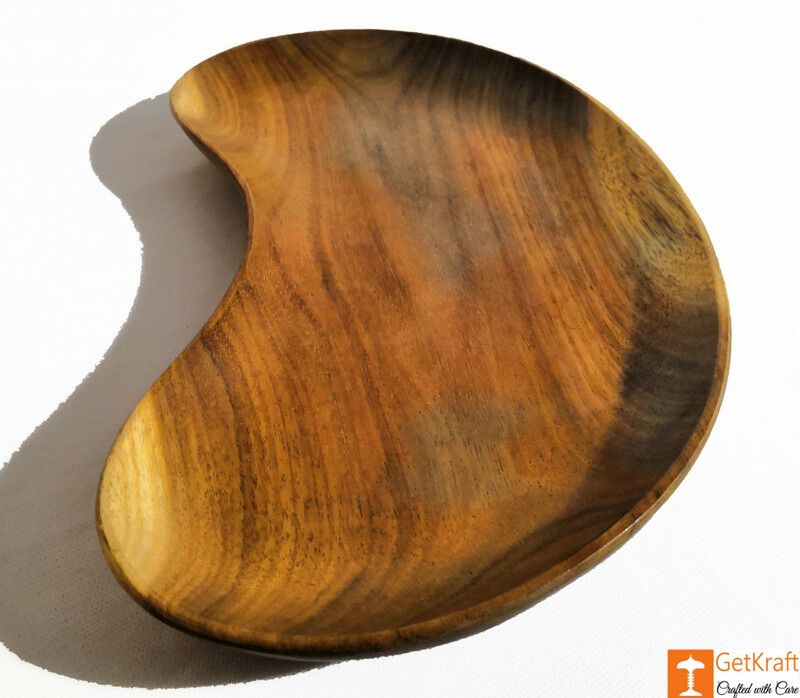 Handcrafted Kidney-Shaped Catch-all Tray Valet Key Tray that is Entirely Handmade from Acacia Wood, an Eco-friendly Natural Organic Product. This Multipurpose Tray can be either used to Keep your Stuff like Keys, Chains, Rings etc or also can be used in the Kitchen for Serving Snacks, Fruits or other Condiments. Crafted with Fine Finishing and Polished to Perfection. 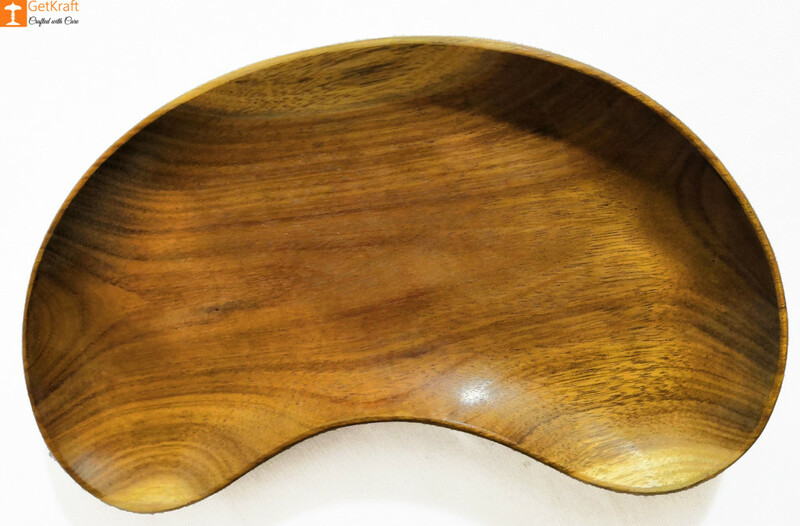 The Wood Tray is Naturally Handmade so it may have marks/patches or marginal imperfections. Once the product is ordered, it will take a minimum of 5-7 days for delivery.